You might be thinking that we’re going Num Noms mad here and you’d be right! In addition to the Series 5 Num Noms that Little Miss C has been helping me review, we’ve also been sent a set of Num Noms Lights Series 2. In particular a Lights Mega Pack that contains a total of 12 Num Noms. As I’ve explained before here on Penny Plays Num Noms come in two parts, the soft rubbery outer Num, and the hard inner Nom. In Num Noms Lights Series 2 they are all sweet based. 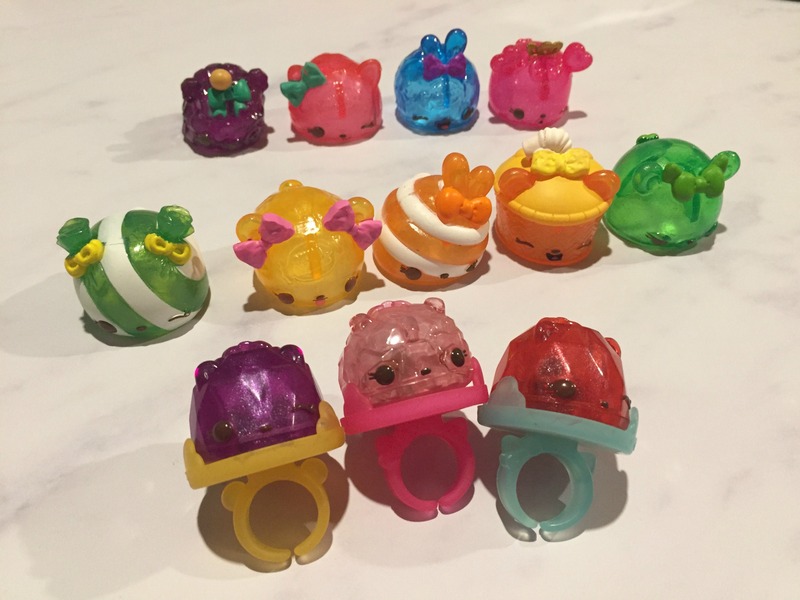 The Noms fit onto plastic rings meaning that children have a light up ring that they can wear. The only thing that slightly disappointed LMC here is that other Noms (from different series) do not fit on the ring. 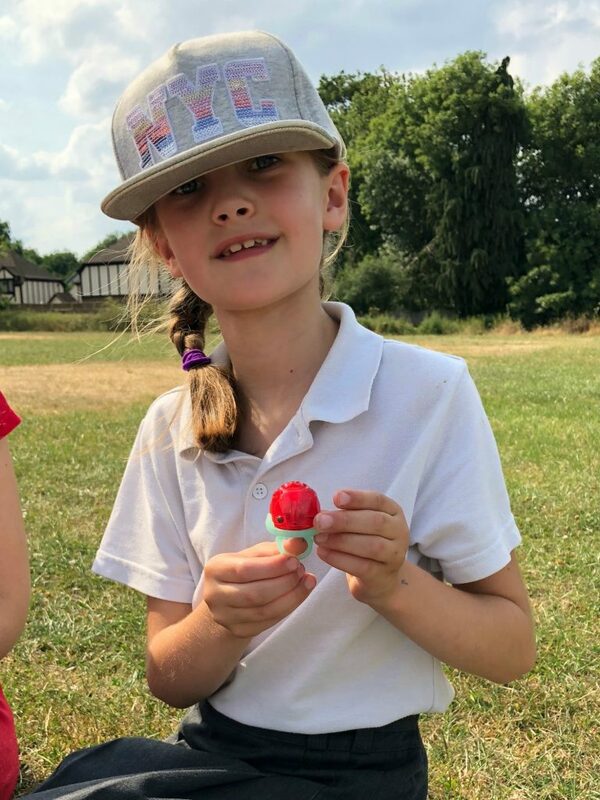 She was rather hoping to be able to wear her lip balm from series 5 on her finger, but it wasn’t meant to be. In the Num Noms Lights Series 2 Mega Pack that we were sent to review you can only see what two of the squares contain before you open the packaging. In our case LMC could see that she had a Grape Gem Light-Up Nom (one of the Gem Candy category) on a yellow ring, and also a Queen Razz Bear Gummy Bear Num. The rest of the mega pack remained a mystery until she opened it! That’s the really nice thing about this particular mega pack. You can either have a blind bag opening frenzy (as LMC did!) or actually split them up and also children to have a mystery pack at a time. Possibly as a reward for doing something during the course of a week or longer. As a parent I really liked this flexible, value for money approach of the mega pack. 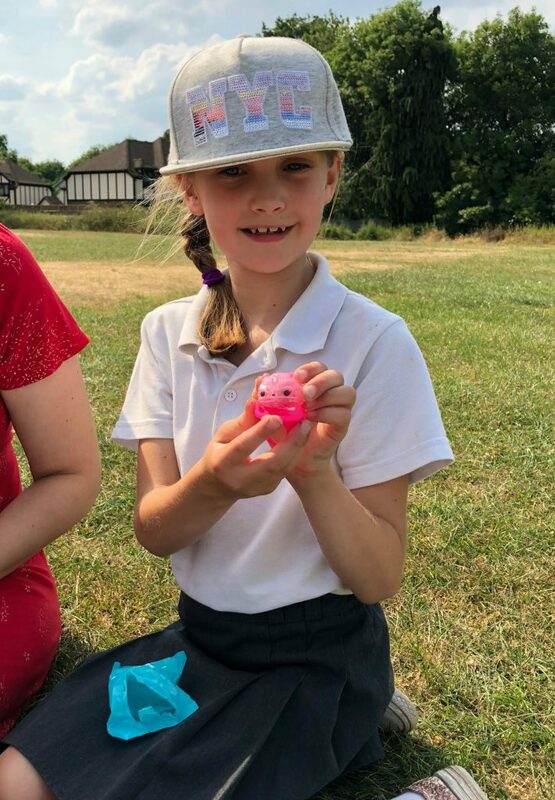 Once LMC had got stuck into her frenzy of mystery pack opening she was delighted to find a real range of the Num Noms Lights Series 2 Nums in there, along with a couple more Light-Up Noms. As a parent, one thing I really like about this Mega Pack is the fact that it gives a durable plastic tray in which to keep some of Little Miss C’s Num Nom collection. She loves displaying various collectables in her bedroom, but trying to clean around them can sometimes be a bit tricky. Her being able to display them in this tray means I can simply pick it up and dust under it. Far simpler than my usual trick of taking a photo of how everything was arranged, clearing it all to clean, and then trying to put it all back to match a photo! 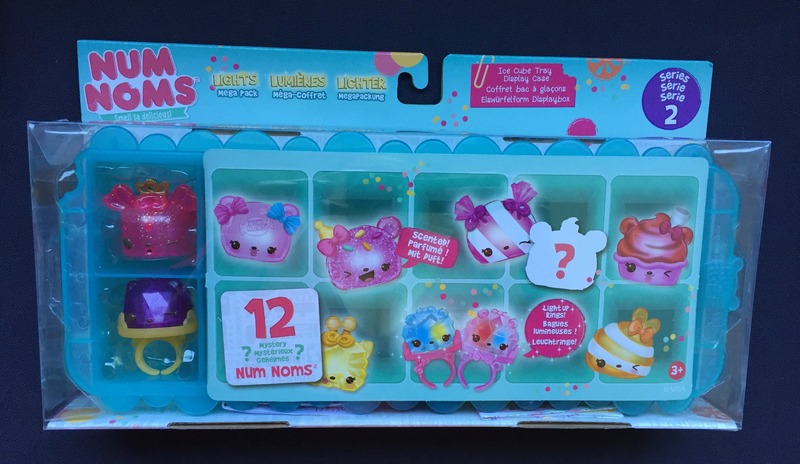 Num Noms Lights Series 2 are also available in individual mystery packs as well as the mega pack featured here. Disclaimer: We were sent the Num Noms Lights Series 2 Mega Pack featured for the purposes of this review. All opinions remain our own. This post contains affiliate links.